It’s release day at My Whimsical Little World, and I am so excited to share three new digis with you today! I was shopping this weekend and was surprised to be surrounded by Christmas music, but with about 5 weeks to go, I have to admit that I am already thinking about the season too! In fact, I dare say that I now have all my Christmas cards done and ready to go! Anyway, I digress! 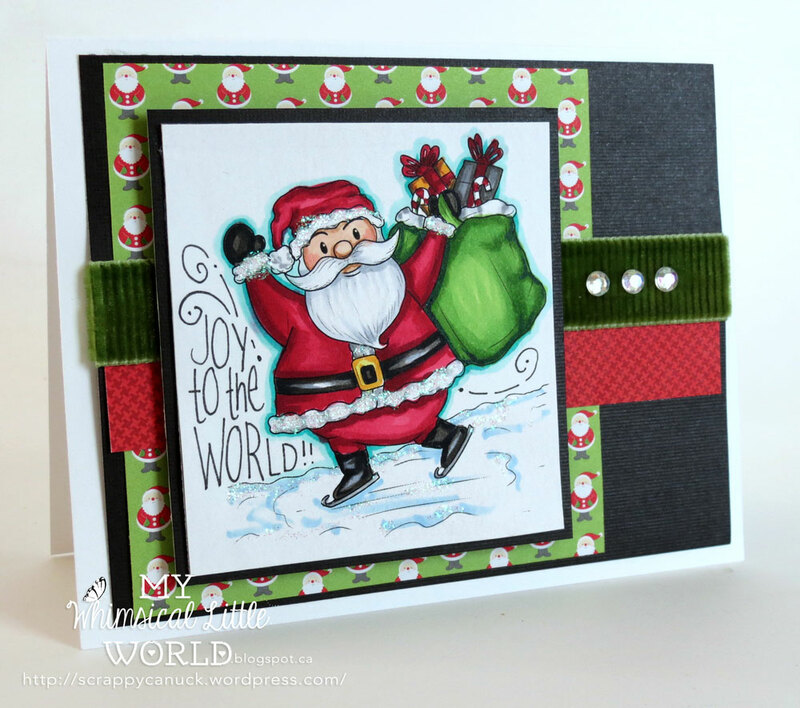 First up is a fun and bright card, and perhaps one of my favorite of the season! Called Santa on Skates, this digi is perfect for your Christmas cards and gifts! For you traditional spirits, Paola has drawn up a beautiful digi called Nutcracker/ I love the amazing details on this image. 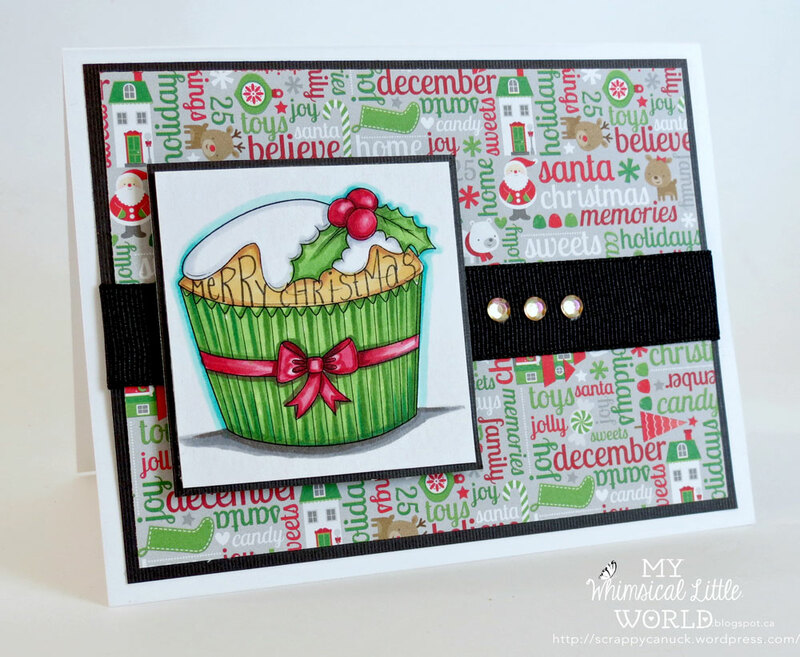 Finally, this digi is called Holly Jolly Christmas Cupcake. I hand-lettered the sentiment on the cupcake, but it looks just as great without! I decided to use a clean and simple design for this card as the Doodlebug paper for the backing was quite graphic and busy. Oh, speaking of supplies, all of the images were coloured up with Copics to match the Doodlebug paper. The ribbon is all from May Arts, and all of the sentiments were hand lettered with my handy-dandy Sakura marker. Paola from My Whimsical Little World is doing a great giveaway right now, so make sure you pop over to the Facebook group to check it out! So there you have it – a few new Christmas images to get you through the season! Tell me – how are your cards coming along (or do you even send any)? This entry was posted in Cards and tagged card, cupcake, my whimsical little world, nutcracker, santa by Scrappy Canuck. Bookmark the permalink. Waow!!! I love them all!! All these cards are so fun and beautiful! I love all three! They are all beautiful and your coloring is great. I love all three of your cards! I like how the background paper matches your cupcake, it looks great! 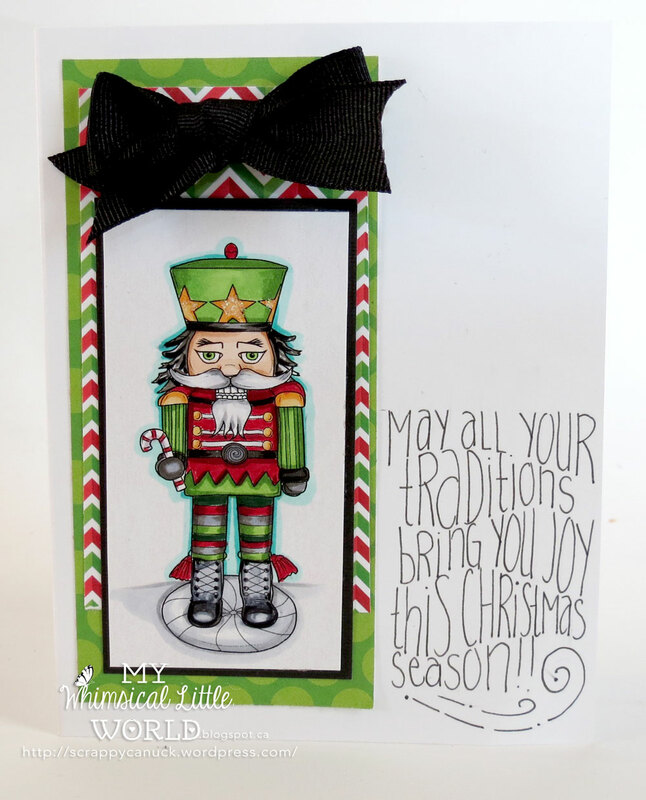 Love the traditional colors of the nutcracker, and love the layers on the Santa card! Great work!